Health and Well-being: Recognition Awards - Nomination deadline fast approaching! Recognition Awards - Nomination deadline fast approaching! Nominate an outstanding peer or a co-worker today! 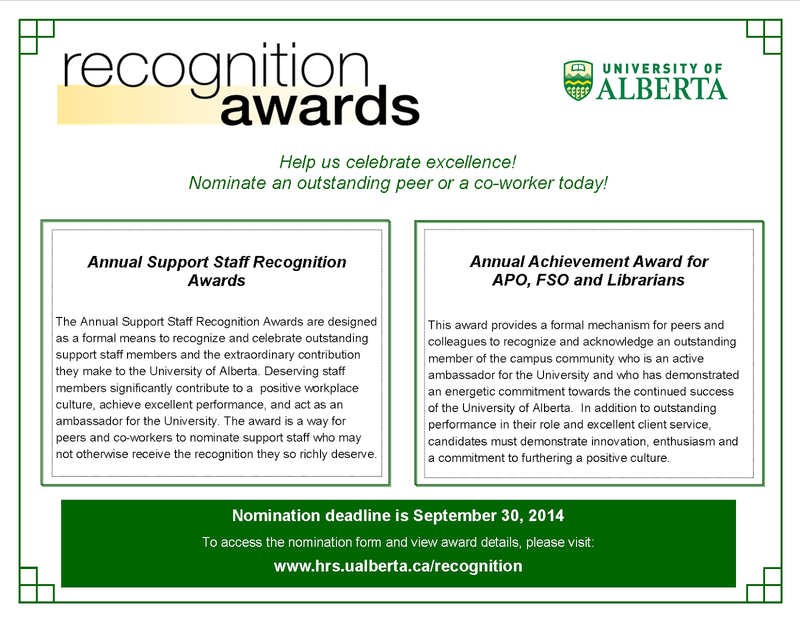 The nomination deadline for the Annual Support Staff Recognition Awards and Annual Achievement Award for APO, FSO and Librarians is September 30, 2014.